I’ve been going to UB (patrons’ lingo of United Bakers Dairy Restaurant) for many years. Truth be told, my brother married a wonderful girl named Irene, who works there with her amazing mom, Helen Zellermayer, Manager of United Bakers. It was here that Mrs. Z. introduced me to the delicious pea soup when I was near term with my son Nathan (11 years ago) and promised me that this pea soup would give Nathan a nudge to come into this world. Sure enough, Nathan was born the very next day! I often come back to UB with my family, or when I’m headed downtown. I stop by to see Helen, Irene and many of the wonderful staff and make sure I pick up some of their wonderful Challah bread, their infamous Latkas or yummy cookies. If it’s for a quick coffee or a meal, Helen, Irene and many of the staff make sure they stop by to greet me and sometimes take the time to chat and catch up. I’ve never seen ANY quick service restaurant deliver faster service than UB. It has always been fresh, hot, and delivered with a smile. I’ve come back time and again for over a decade and I always see the same employees, more than content to be part of this amazing restaurant. My experience has prompted me to write about UB, their history and what makes them such a successful and renowned landmark in Toronto today. Philip Ladovsky, owner of UB, was kind enough to lend me some of his time to allow me to properly craft this post. When I decided to write about UB, it became even clearer how much companies like this one have become such a rarity. It brought me back to last summer 2012 when we put together a conference called SocialMix. Acquisition is a commodity….. but the most limited supply in the world is Effort! “Getting customers is cake….Acquisition has been mapped.” Behavioural and data scientists are figuring it out. They are getting a better understanding of the buying cycle and have integrated this into customer touch points. All marketing is going to get back to the way it used to be in the Butcher Shop or Mom and Pop store where they knew your name, your kids name and your dogs name. That’s the way humans like it……Remember the small-town rules? The Mom and Pop shops knew context on the end customer. And they used that context to do business with them. Fortuitously, United Bakers just celebrated their 100th Birthday last year. It was truly a testament to what they’ve accomplished during its tenure. 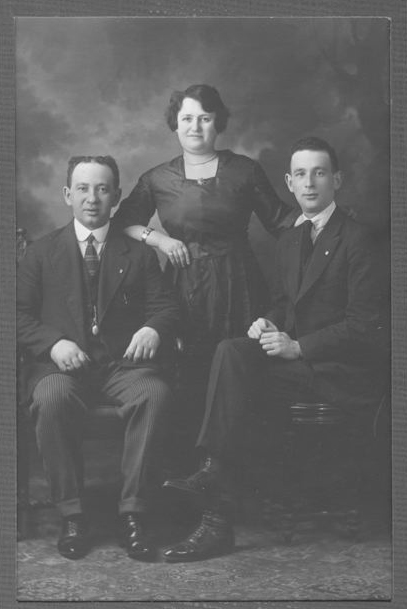 In 1912, a young couple, Aaron and Sarah Ladovsky opened a bakery/coffee shop in downtown Toronto. They had just arrived from Poland, and were intent on making a living in Canada. Their plan was to bring in the “flavours of life they left behind”. They set up shop at 156 Agnes Street, then the “heart of the Jewish Ward”. They hung out a sign that read “5 cent Coffee House”. They called their new business THE UNITED BAKERS. They sold their breads and dairy meals, prepared on the premises and soon it became a popular place to stop by. Their patrons were all new immigrants new to Canada, from those just arriving to those who had time to establish themselves. At this point in history there was an influx of immigrants from Central and Eastern Europe arriving in Canada. The Jewish community was expanding. Many a newcomer to Toronto enjoyed his first meal at United Bakers. From the start, United Bakers was a haven of stability in a turbulent new world. Immigration expanded as newcomers worked tirelessly to bring their families to Canada. This required extra support from organizations back home in the form of emergency loans, insurance, sick benefits etc. Aaron Ladovsky returned to Poland to offer monetary support for the arrival of new Torontonians and encouraged others to take advantage of the opportunity. 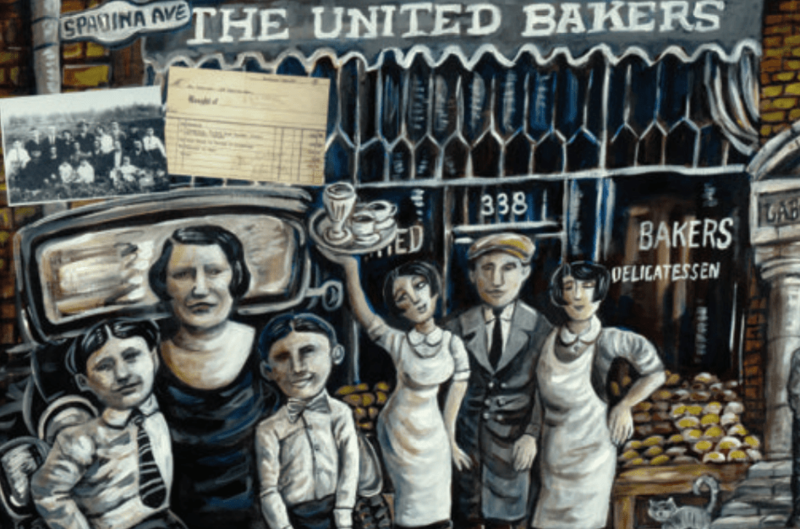 Over the years, United Bakers prospered and it “became the hub of political and social activity”, attracting everyone from factory workers, businessmen, artists, writers, poets from all walks of life. The strong foundation upon which these traditions were built continues to this day. United Bakers has long since moved from its Spadina location and now has a well established business at Lawrence and Bathurst. We are in one location because we decided long ago that we want to operate our business personally, and that means being there in person. Imprinting a service philosophy upon a large and ethnically diverse staff requires rules, guidelines and training; but there is no substitute for the presence and personal participation of an owner. We have a wonderful team of managers who are in constant and close contact with myself and with my sister Ruth. But we consider it our privilege — and our responsibility– to be here to set the tone. 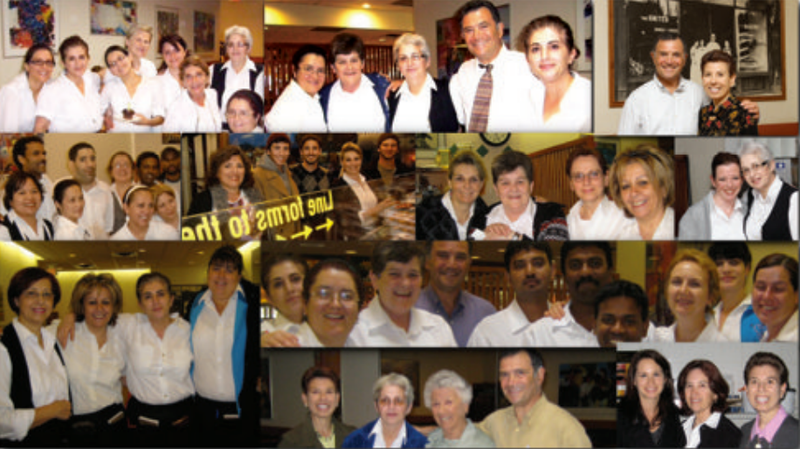 At UB there are many regulars – the same faces I recognize every time I set foot in the restaurant. I asked Philip what makes customers keep coming back? He indicated that customers are people who have decided to spend their money at your business. Great customer service is almost unquantifiable: who can anticipate all the myriad expectations customers have in their imaginations? But great is a pas between the two parties, and this has everything to do with attitude: if your interest is satisfying the customer, and making them feel at ease, you have the right attitude. Training can help smooth the edges of your approach, and can teach the server/ staff the most efficient and inexpensive way to achieve customer satisfaction, but there must first be an attitude of willingness to serve and a desire to satisfy. I am now in my 85th year. When I was a boy of 8 years of age, I lived at 308 Spadina Ave. in an apartment above a dry-cleaning store. A few stores north there was a “United Bakers” store. My Mother would send me twice a week to the bakery to get bagels. It was a small store with about six tables. Customers would come in for coffee and a bagel. Mr. Ladovsky, the owner, would give me hot fresh bagels – what a delight! He was a gentle soul and cheerful and I remember it was a joy to go there. We still continue to go to the Lawrence Ave. location for lunch or dinner with our children and grandchildren, who also enjoy the haimishe atmosphere and the delicious food. I grew up in the Kensington Market area and going to United Bakery with my parents was always a special treat. After we moved to North York the trips were less frequent. When UB opened at Lawrence Plaza my Mom and I were thrilled (Dad had already passed on). It became a special place for Mom and I to meet weekly for lunch or dinner. My Mom passed on a little over a year ago. In her later years, even as the dementia got worse, the one place she would remember was UB. I took her there until the very end. She would always make me wait for a booth to become available and she would always look around and marvel at how busy it was and tell me how she and my Dad would always go to UB when it was downtown. I would always have to take home an order of the pea soup for her before we left.The soup and egg and onion was what she always ordered.I hope you last another 100 years for future generations to enjoy. On the UB website, it states, “We probably knew your grandparents, and we’d like to know you and your children too”. Philip notes that he enjoys a wonderful advantage: his grandparents gave his family a “seven decade head start”. Caring for the end user who is buying our products… is ALWAYS the right thing [to do]. The ones who WIN feel it, execute and they they tell others how they did it….The world is changing. The eyeballs and ears of our customers are going in different places. If you’re not there. You’re going to lose. Happy Belated Birthday UB! Here’s to another 100 years! I absolutely love this restaurant. Haven’t been in awhile, but your post has inspired me to go and get some Potato Latkes! My worlds colliding! Who would have thought that I’d stumble across a post about UB while flipping through my favourite content marketing and social media blogs. I’ve been eating at UB with my family for more than 25 years. The customer service is unrivalled. And the pea soup is scrumptious! Next time you’re there – have a prune hamentashen. So, so yummy! Ruth – MarketingWise Hi Ruth! I was just there today. I love UB. I went there today, met Nathan, Philip’s son and he treated me like royalty. Mrs. Z. treated me to some of my favourite pea soup and sent some Gingerbread men cookies home with me! You’re right the customer service is unrivalled. Nathan and I were talking about it today. I told him many companies were using tools to figure out what their customers were all about. This whole time UB has been doing that from the beginning. From today’s standards, that’s phenomenal. Definitely next time I’ll try the prune hamentashen! Thanks for stopping by!